When Apple held WWDC in June 2013, it made little public mention of its new iBeacon feature in iOS 7, apart from showing the name prominently on a Keynote slide depicting a variety of other new features included in the release. Developers and technology enthusiasts have been on their toes ever since about this. iBeacon technology, that makes use of Bluetooth Low Energy (BLE), a feature that has been common in most phones manufactured since 2013, can be used to deliver path-breaking customer experiences and generate more revenue in retail stores, museums, hotels, malls, theme parks, airports etc. The opportunities offered by this technology are limitless and innovative use cases are being built around it every other day. With so much of excitement and enthusiasm around the technology, how could the hardware be left behind? To know more about various beacons available and, how to choose the right beacon hardware for your business, you can view the slides from our Webinar on ‘How to choose the right beacons for your business’ here and watch the video here. 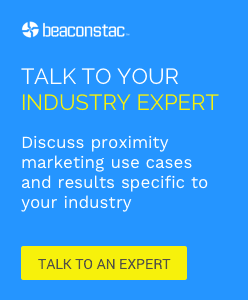 Excellent job differentiating the types of beacons out there. The all-weather beacon in particular caught my attention and I think it would be a good fit for pop-up stores, on the go merchants, or any retailer that does business outdoors. Thank you Francesca. I am glad you liked it. All-weather beacons are definitely great for outdoor advertising, pop-up stores etc. I read the primer – very well-written and informative I must say! I am glad you liked it John. Thanks for the link, it has very useful information.